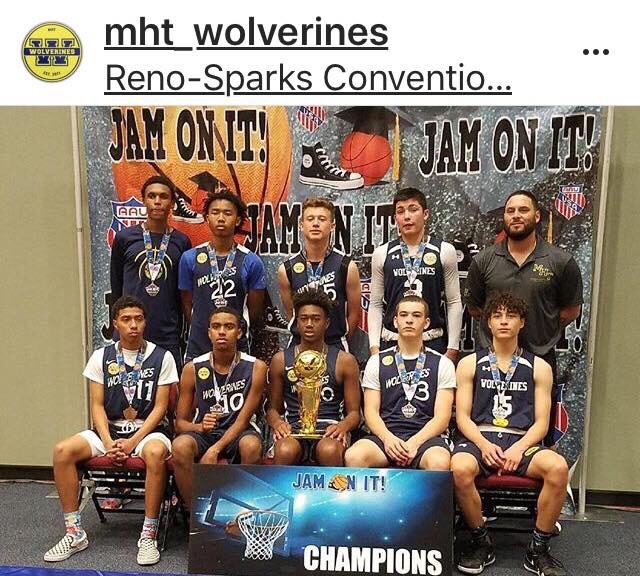 Congratulations to Coach Steven Trujillo’s JV Boys for going 5-0 in the Jam On It tournament in Reno NV Memorial weekend. Their 1st place finish garnered features in The Tracy Press and Mountain House Matters! 1st game against platinum elite, a 70-43 victory. 3rd game against Cal elite score, 64-52 wolverines. All players contributed tremendously and played as 1 unit. Congratulations JV Boys for a hard fought 1st place finish!